Dave Feath (Harrisburg PA) on 2014-08-17 15:04:46. Unbelievable! Aaron Bentson and 7idea productions goes to Arizona and creates another masterpiece. 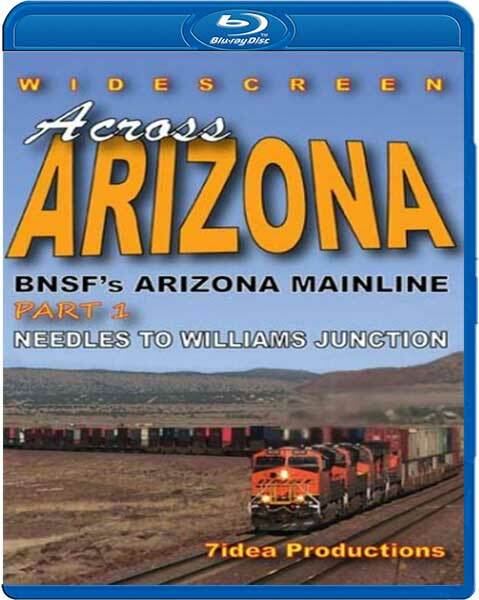 I own many videos about the BNSF in Arizona, but none like this. What was different...he showed the areas where the mainline tracks split from each other and then join again. The coverage of the Crookton Cutoff was wonderful. Most filmakers skip over that area, but Aaron didn't. 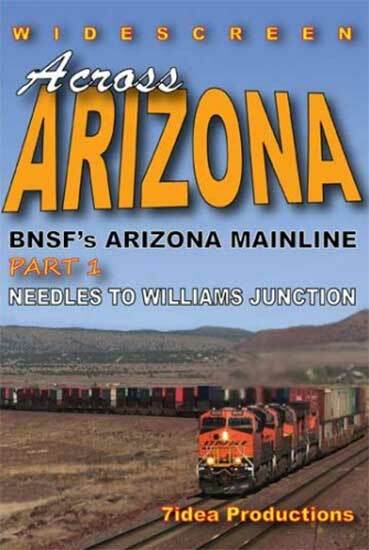 If you love Northern Arizona and BNSF's old Santa Fe mainline, you need this! I'm ready to buy 'Across Arizona Part 2' as soon as it comes out. debbie (lowell ma) on 2014-08-15 14:48:29. The Video was of great quality, and the service of delivery was fast and easy. I definitley will continue to buy more.